Music Book Bag or Library Bag. Musical Notes. 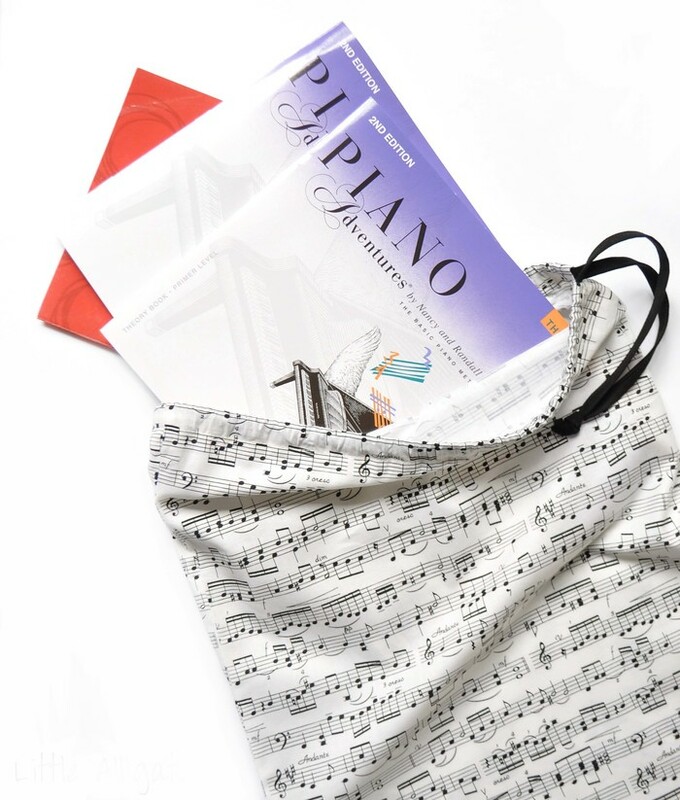 Piano Book Bag. Isn't this just the best fabric for any music lover? Perfect for music lesson books and small instruments such as recorders. This would make a great present for a music teacher too! This large, durable drawstring bag is also great for use as a school or kindy library bag. It's designed so that you can fit in books, cot sheet or toys. Perfect for taking on holidays and in the car too. "Gorgeous item, beautiful quality. Made and sent quickly - thank you so much! My mother will love it :)"
"I bought this as a gift for my daughter for her piano books and it's just perfect! Lovely design, beautifully made and arrived very quickly." 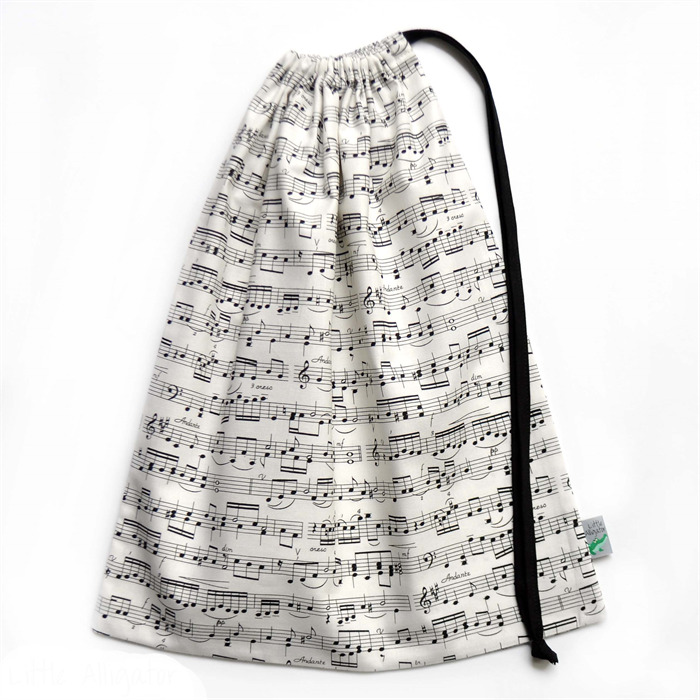 "The music bag is perfect and was well packed and arrived very quickly - thank you Jelaine!" "A great bag to keep my son's music toys. Well made and prompt delivery. Definitely be purchasing more bags in the future". Carefully made with a 100% cotton quilting fabric.